The Hamilton Community Foundation has released their annual Vital Signs report, that highlights Hamilton is generally continuing to change for the better, but the progress isn't good for all. Hamilton continues to prosper, but "inequalities remain significant" according to a report released today. This year's Vital Signs report highlights a growing arts scene, higher graduations rates and low unemployment as indicators that Hamilton is on a positive incline, but the city's resurgence isn't benefiting all, leaving some Hamiltonians at a larger disadvantage. The report, done by the Hamilton Community Foundation looked at quality of life in 10 areas including the arts, economy, education, health, safety, housing, environment and citizen engagement. Inside Hamilton's identity crisis: Who are we and what do we want to become? According to the report, many visible minorities, recent immigrants and Indigenous people are twice as likely to live in poverty as other Hamiltonians. In the last year, almost 15 per cent of Hamiltonians reported experiencing some food insecurity with 4.2 per cent reporting severe food insecurity. In spite of progress made reducing child poverty, the Hamilton rate remains above provincial averages, says the report. "There are remarkable signs of progress that demonstrate that working together we can make a difference. Yet disparities between some neighbourhoods and groups remain troubling," said Terry Cooke, president and CEO of Hamilton Community Foundation in news release. "Too many families still rely on food banks, waiting lists for social housing have gotten longer and race and gender continue to be markers of deep inequality," said Cooke. Vital Signs has been taking a close look at the city for the past eight years. Here's a snapshot at the good, bad and troubling gaps from the report. The March 2018 unemployment rate for the Hamilton census metropolitan area was 5.3 per cent, lower than the provincial 5.5 per cent and national 5.8 per cent averages. In 2017, the city of Hamilton issued building permits valued at over $1.36 billion, an increase of 29 per cent over 2016 ($1.06 billion), and the highest since 2012 ($1.5 billion). Hamilton continues to have one of Canada's most diverse economies and 2017 was a strong year for job growth across all sectors. Crime rates are on the decline. Over the past four years, the city and community agencies have successfully housed 631 people who were homeless. The past decade in Hamilton has seen a 23 per cent increase in the number of people working in cultural occupations to 8,975 in 2016. In 2017, there were 336 festivals and events held outdoors on City of Hamilton property, up from 302 in 2016, and 288 in 2015. The past decade in Hamilton has seen a 23 per cent increase in the number of people working in cultural occupations to 8,975 in 2016. Hamilton is slightly above the national average in artists (0.81 per cent vs. 0.78 per cent) as a percentage of the labour force, and slightly below for cultural workers (3.3 per cent vs. 3.8 per cent). In Hamilton, there are just over 200 kilometres of designated bike lanes, an increase of 130 kilometres since 2007. Motor vehicle collisions and police-reported hate incidents are on the rise. Voter turnout is low for municipal elections. Just 34 per cent of eligible Hamiltonians voted in the 2014 municipal election, a decrease from the 40 per cent turnout in 2010. Over four out of five (83 per cent) Hamilton workers travelled to work by car according to the 2016 census — unchanged from 2006, and higher than the 79 per cent provincial average. Hamilton's youth are less active than their Ontario counterparts, and obesity rates are trending up for all ages. Many families still rely on food banks and waiting lists for social housing have gotten longer. Inequality between the richest and poorest neighbourhoods continues and reflects harsh disparities by race and gender. Rents and house prices have increased at rates that far exceed those of average household income. Overall emergency shelter use is decreasing — but for women, demand continues to exceed supply. Over the past four years, Hamilton has had some of the fastest rising house prices in Canada. Average Hamilton homebuyers can now expect to spend six times their annual income on a house purchase, up from 3.5 times in 2010. Since 2012, Hamilton rents have risen 4.1 per cent annually, Southern Ontario's fastest increase, and twice the rate of inflation. Supply has also tightened: Canada Mortgage and Housing Corporation considers a 2 per cent - 3 per cent rental vacancy rate to be "healthy". Hamilton's 2017 vacancy rate for all apartments dropped to 2.6 per cent from 4.6 per cent in 2016, and the city-wide vacancy rate for the most affordable units was 2.1 per cent. 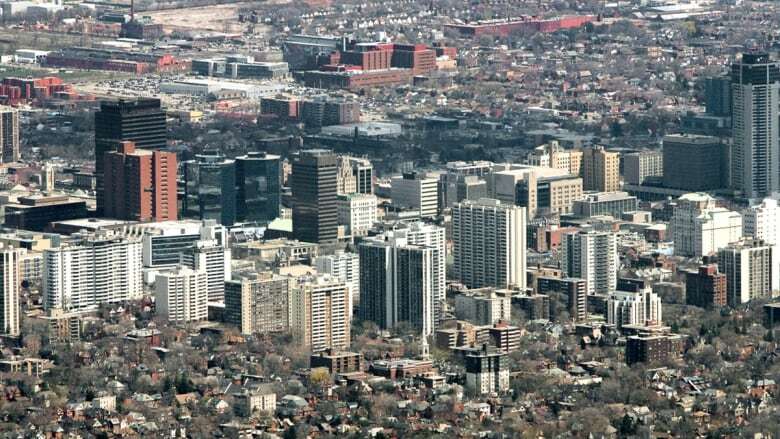 Using the Statistics Canada Low Income Cutoff, poverty rates for Hamilton have dropped to 16.7 per cent, from 19.8 per cent in 2000, but remain above provincial (13.7 per cent) and national (12.8 per cent) averages. Poverty rates vary by neighbourhood and group. Indigenous people, recent immigrants, many visible minorities and lone mother families experience twice the rate of poverty as the general population. Greater Hamilton Foodshare tracks food bank usage across Hamilton, and in 2017 reported that over 5,200 households used a food bank. These households included almost 8,000 adults and 4,600 children.